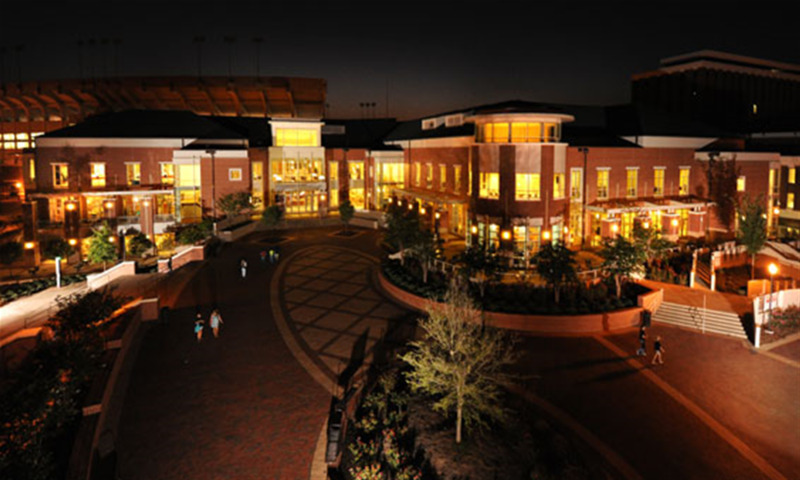 The Student Center provides services and facilities needed for the social, personal and intellectual development of individual students and groups of students. This is accomplished through structured activities, programs and resources. Well-maintained and secure facilities are also provided to students, faculty, staff administrative professionals, administrative and academic departments, groups, alumni and the community. This objective supports the instructional, research, and outreach missions of Auburn University and enhances the overall educational process for students. Restaurants inside the Student Center include: Au Bon Pain, Chef's Table, Chick-fil-a, Chick n Grill, Outtakes, Papa Johns and Starbucks.